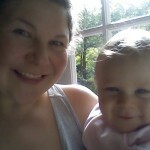 Rachel, the writer behind Reflective Mom, shares her story. 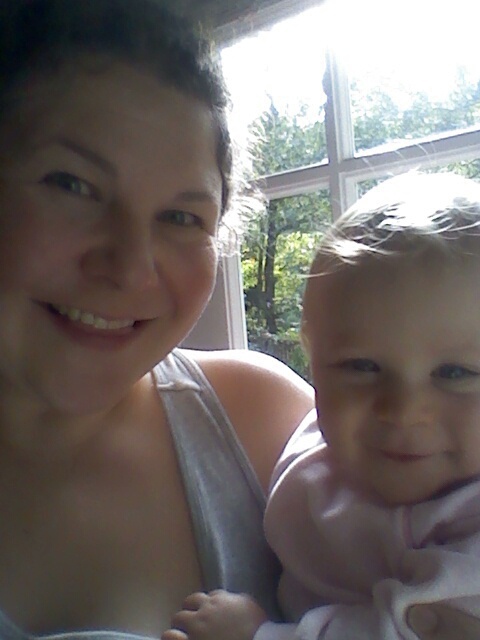 Me and my sweet baby girl! Hi I’m Rachel, the writer behind Reflective Mom and Here’s a Little of My Story. I wanted to be a mom since forever. I was one of seven children and grew up in two homeschooling, homebirthing, breastfeeding, healthfood eating church communities where all the girls got married at 19. That didn’t work out for me. So at 19, I got my real estate license. Fast forward a couple decades and I’m finally married and the mother of our 19-days-past-due daughter. She arrived via last-minute C-section early one cold rainy morning in 2012 (our carefully scripted 21-point birth plan completely out the labor and delivery room window). And since then, I have been completely overwhelmed, delighted, exhausted, frightened, in my element, and forever changed. Although some things never change. . . I still have curly hair. And… I. am. desperately. flawed. A daughter of the Most High God loving myself most, family and friends second, and Jesus last. (No, you didn’t read that wrong). That order is, thankfully, reversed on “good” days (and during the several hours following church or Bible study). On other days I just think about other things. That’s me being authentic for you. I can sometimes keep at bay an ever-creeping sense of inferiority by remembering that people say I’m smart, capable, and talented, funny, organized, ambitious, kind, beautiful, animated, expressive, and bubbly. But they say all kinds of other stuff too. So I put my hope and confidence come in Someone Else. You know, on the good days. I have everything I need. . . I am whole and complete…and some days I act like it. My giving and receiving Love Languages are “Acts of Service” and “Words of Affirmation.” Historically, I’ve turned up “Servant” or “Administrator/Ruler” on every spiritual gifts tests I’ve ever taken and sanguine-choleric on other tests, depending on what day it is. And now I’m retaking those tests and coming up a “Prophet” . . . if that helps you understand me. I’ve recently been contemplating whether I’m truly an introvert masquerading as an extrovert and taking from that license to pull away. But I need people and fold into myself when alone too long, feeling as if I could disappear. . . but when there are a lot of people in my kitchen or kicking back on my deck, I escape upstairs for breaks. Then when I’m waving goodbye to the last car, I feel that the time has gone too fast. Maybe it’s part of the chaos of growing up in a HUGE family! When this song came out I thought they’d finally written about me but changed names to avoid royalties (except that it might not be OK to never see the Seven Wonders. . . which I’m working on). I lived to travel before we had Muffin. It was 1999 when I excitedly collected the first stamp in my passport. They came mostly from legit uniformed officials in Jordan, Israel, Egypt, France, The Netherlands, The Bahamas, China, Ireland, Poland, Canada (6x’s), and Mexico (3x’s). But the one I’m most proud of is a big garish stamp from an obliging tequila street vendor in Tijuana. When I said “I do” with my literal best friend (feel free to release a weary sigh, it is totally cliché to say that, I know). He shares a love of traveling (and learning, home improvement, and good deals). We’d already been on numerous chaotic trips with friends and church groups here in the States. But our very first international flight was to romantic and exciting, waves wrecking against the shore, honeymoon (gift from family) in Los Cabos, Mexico! Then, four months before Muffin was born, we went to Venezuela and Curacao. So the excitement continues! I’m hoping Greece or Italy next, or Iceland. Though my husband is 100 percent a Patriot and contentedly devoted to this great Homeland where we’ve discovered more National Parks, battlefields, creeks, caves, lakes, dams, rivers, war museums, and Machine Gun Shoots than I knew existed. For now though, we are here, where I have time (between diapers and dishes and toddler tantrums) to work on the things I love. . .
Like, writing, reading up on things, cooking & baking, photography (with my cell phone, OK, nothing fancy), tending flower pots, the occasional refurbish/re-purpose project, shopping, singing with the radio, conversations with myself, spending time with our friends and families, creeping along toward more healthy living, gardening, and fixing things. But the two things I find most fulfilling are helping others and writing. I want to give back out of my abundance, not out of my need! So if you see me looking like I’m running around this blog with an empty cup asking you to fill it, remind me that my goal is to use it as a place for the overflow. The Lord has truly given and taught me so much. And if you don’t see me for a little while here and there, no worries, I’m just busy working my “finally” job. In fact, Muffin’s about to wake up. No, that’s not her real name 🙂 And my family also calls her “Boo Boo.” I plan to whisk her from her little bed for a morning snuggle – where we’ll ponder the walls and ceiling together until our tummies rumble for breakfast. Or link up on Facebook, Instagram, Google +, or YouTube.